In 2005, Ted W. Baxter was at the top of his game. He was a successful globe-trotting businessman and in peak physical condition. Then, on April 15, 2005, Ted suffered a massive ischemic stroke. Doctors feared he wouldn’t make it. Sign up to receive periodic updates from Ted and a preview chapter from Relentless. 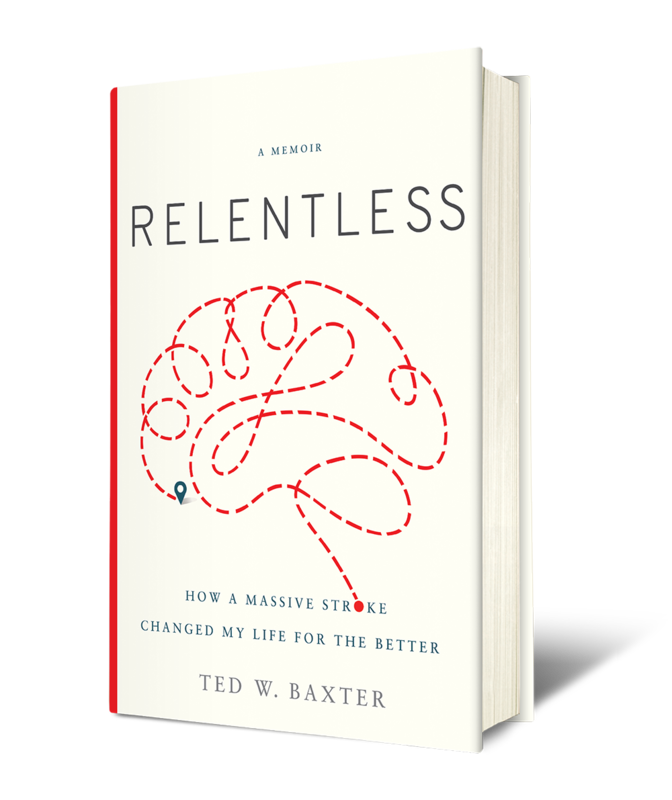 In Relentless, Ted W. Baxter describes his remarkable recovery from a massive stroke. He’s walking again. He’s talking again. He moves through life almost as easily as he did before the stroke, only now, his life is better. He’s learned that having a successful career is maybe not the most important thing. He’s learned to appreciate life more and that he wants to help people, and that’s what he does. He gives back. "Relentless is not a book about having a stroke. It’s not a book about aphasia. Relentless is about life and having the will to make your life what you want. If Ted can do it — we can do it! This is a must read for everyone who needs that push to get what you want out of life." 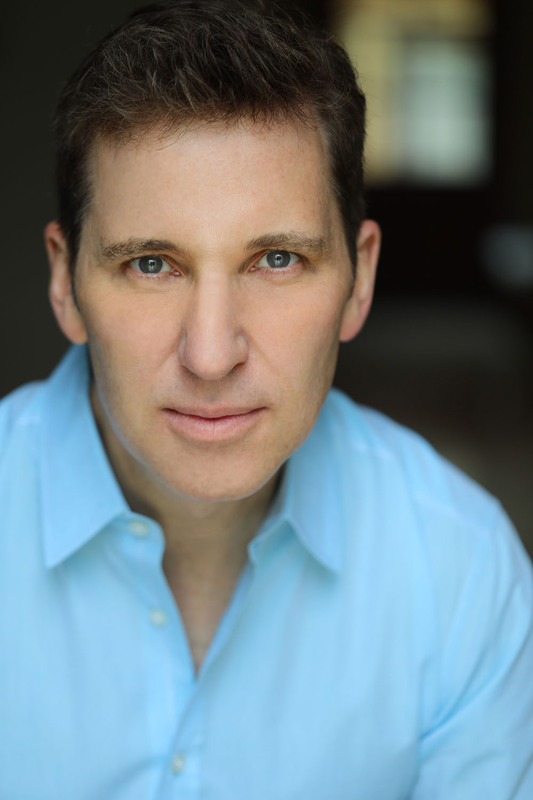 Ted W. Baxter was born and grew up on Long Island in New York. He got his bachelor of business administration in three years at Hofstra University in 1984 where he majored in public accountancy. He took a job working for Price Waterhouse as an auditor and he passed all four parts of the CPA exam on the first shot. He then became a management consultant soon thereafter, focusing on financial industry clients. While he was working as a senior manager, he attended the Executive Masters Business Administration program at Wharton on the weekends, where he got his MBA, concentrating on finance and strategy. He built a financial services consulting practice in Tokyo for Price Waterhouse and rose to partner in record time. For the next six years (1995–2001), he lived in Tokyo and Hong Kong, traveling almost constantly between ten Asia-Pacific countries, first for Price Waterhouse and then as a Credit Suisse First Boston managing director. He left Credit Suisse First Boston, eventually landing the global finance post as a managing director at a premiere hedge fund and investment institution, Citadel Investment Group, based in Chicago. After spending twenty-two years in the financial industry, he retired as a global finance executive with expertise such as international banks and securities, risk management, financial products, controllership, team-building, change management, strategic planning, and information technology systems. Ted experienced a massive ischemic stroke in April 2005. Ted lives in Newport Beach, California, with his wife, Michelle, and their dog, Zorro. As part of his recovery, Ted challenged himself to take part in more public speaking to improve his articulation and fluency. As a result, Ted is a dynamic and inspiring speaker and regularly shares the story of his journey with audience of all sizes. If you’re interested in having Ted speak at your event, please submit details via the contact form. If you, or someone you love, has suffered a stroke or currently have aphasia, please refer and download the samples of therapy exercises that aided Ted in his recovery. Is your book club, support group, or family reading Relentless? Download these questions for discussion and author Q&A to help facilitate conversation. Every year, approximately 800,000 people in the United States suffer a stroke. That’s one person every 40 seconds. One of the major manifestations of stroke is the difficulty communicating with speech called aphasia, which affects over one million Americans. Ted is committed to supporting organizations that assist with the prevention of and recovery from stroke and aphasia. If you’d like to get involved, please consider donating your time or dollars to these organizations. 11.13.2018 Wisdom of the Wounded: My Loved One Has Aphasia. How Can I Help? 11.13.2018 Wisdom of the Wounded: I Had a Stroke at Age 41. Copyright © 2018 Ted W. Baxter, All Rights Reserved.